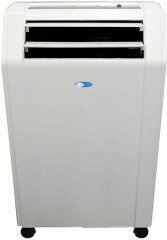 Though performance depends on your specific climate, portable 10000 BTU air conditioners should cover between 350 and 650 square feet. 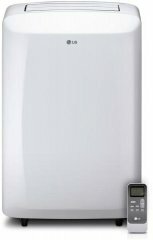 It should be particularly enough in northern U.S. States or Canada. 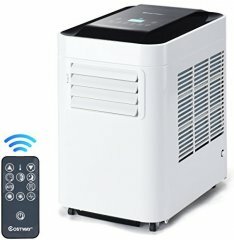 Models shown in this list are strictly 10000 BTU portable air conditioners, so we excluded air coolers and models without casters, no matter how portable they claim to be. 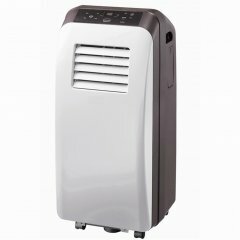 Because of its overall rank of 86%, we conclude that the JHS A001-10KR is currently Alphachooser's best 10000 BTU portable air conditioner 2019. 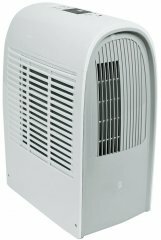 Alphachooser also concludes that our sample of 103 reviews from our sources gives us a high confidence level (more on confidence levels) that justifies calling it a "no-brainer best choice." 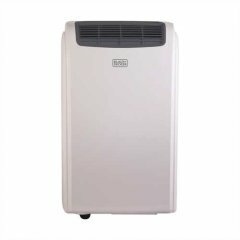 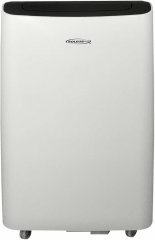 Because of 4 stars derived from 376 reviews, we rank this LG model second best 10000 BTU portable air conditioner. 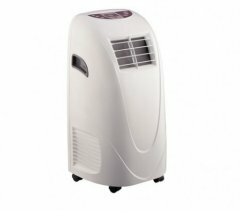 * Our list is based on a full aggregation of hundreds of 10000 BTU portable air conditioner reviews from multiple sources. 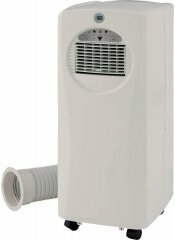 The ARC-10WB 10000 BTU Portable has an exhaust hose that extends up to 59" to give you more options for setting it up. 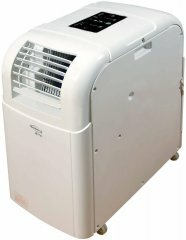 a 10000 BTU portable air conditioner with a 13-inch x 15-inch footprint and a 49dB minimum noise level.